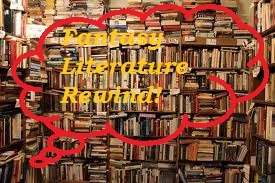 Fairy Tale Fandom: Fantasy Literature Rewind: Winnie-the-Pooh. Yeah, I’m starting with something that’s more from Disney than A.A. Milne for this one. I mean, the “thoughtful spot” is definitely Milne, but “Think. Think. Think,” I’m pretty sure is a creation of the Walt Disney company and the cast and crew of their Winnie-the-Pooh short films. It’s actually hard to get away from Disney when it comes to Pooh. You know how many Winnie the Pooh projects they’ve done ranging between movies and children’s television. A lot! A whole lot! Far more than any Disney Princess. Even beyond Disney, Pooh’s got a fair bit of pop culture fame. Up to and including being an extended reference in a Kenny Loggins song that’s known to get people a bit misty. 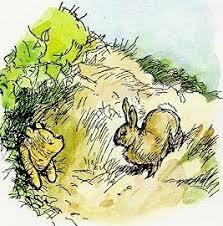 Winnie-the-Pooh’s genesis actually stems from a man by the name of Alan Alexander Milne. Milne was born in 1882, the son of two school teachers. Milne had an early start at reading and writing, reading at the age of two and writing verses, parodies and other things for his school paper when he was young. He moved on to more writing after university, though not always with a financial gain. In 1906, he took a position at the famous British satirical magazine Punch. He went on to get married and serve in World War I. After the war, he would write the play Mr. Pim Passes By, which was a huge success and netted the Milnes a certain degree of financial independence. However, the event that would in a way lead to A.A. Milne’s worldwide fame happened in 1920. His son Christopher Robin Milne was born. Inspired by his son, Milne wrote four books for children. There were the two Pooh books Winnie-the-Pooh and The House at Pooh Corner. There were also two books of verse, When We Were Very Young and Now We Are Six. The books were also perfectly complimented by the illustrations of artist Ernest H. Shephard. And so, Winnie the Pooh and A.A. Milne’s fame were born. There is a little bit of a shadow over all this, though. You see, Christopher Robin Milne never quite managed to live down the fame of being THE Christopher Robin. I’m not going to get into it much here, but I understand there are a book and a movie both named Goodbye, Christopher Robin that deal with it and other facts of Milne’s life. There’s also Christopher Robin Milne’s own autobiography The Enchanted Places. 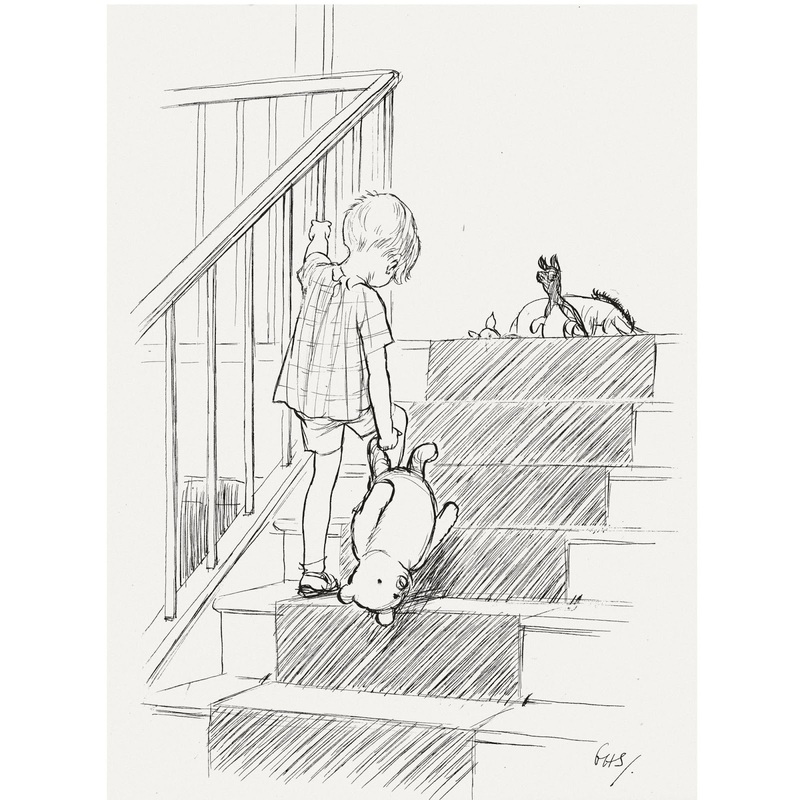 The Pooh books are series of short adventures by Christopher Robin’s stuffed animal friends Winnie-the-Pooh, Piglet, Eeyore, Tigger, Kanga and Roo as well as their woodland animal friends Rabbit and Owl. I reread the Pooh books to see if there was anything I had forgotten that would strike me now as different or alarming or interesting. There were a few things. Most of it had to do not with Pooh himself but with his friends. One of the things was Eeyore. Eeyore, as you may remember is the gloomy donkey who is friends with Pooh and the rest. I was aware that Eeyore was gloomy to the point of seeming downright depressed. But while I knew that Eeyore was down on himself, I never quite realized he could be so down on others too. When Eeyore finds out his tail is missing in the second story, he says “Somebody must have taken it. How like them.” And Eeyore’s like that throughout both books. Always complaining about everything, including other people. He’s like a little stuffed curmudgeon. The other thing that strikes me is the character of Christopher Robin. Christopher is probably at most about five years old. Yet, in the Hundred Acre Wood, he’s the smartest and most competent one in the room. He’s routinely the one who has the solutions to problems and who the others go to for help. Looking at this, I’m thinking that this is in fact kind of brilliant. Think of how rarely small children get to be in this situation in real life. How rarely they’re the ones who have the answers. I mean, it makes sense that a child would be smarter than his own semi-imaginary friends. However, think of how great that is as a way of getting kids to warm up to a story. Imagine being small and there being a story where a kid like you has all the answers. There’s not much more to it. I did find that Pooh and his friends are some surprisingly well-realized characters. Animation writer Eric Lewald once said that the characters in The New Adventures of Winnie Pooh is one of the best examples of character writing he knows of because you couldn’t take a line meant for Pooh and give it to someone else like Tigger or Piglet and make it sound right. And that goes back to the book, too. You can’t take a line of dialogue from Piglet and give it to Eeyore because Piglet dialogue doesn’t sound like Eeyore dialogue. They all have their own sense of voice. Eeyore’s a gloomy curmudgeon. Piglet is anxious. Tigger is positive and exuberant. Owl is long-winded and enamored of his own voice. Kanga is maternal. Roo is playful. Rabbit is fussy and self-important. And Pooh is easygoing. I think maybe what I was looking for was some insight into the modern tendency of seeing Winnie-the-Pooh as a source of wisdom. I’m sure other people can echo this sentiment, but there’s a Winnie-the-Pooh quote hung up on the fridge in my office at work. Disney’s upcoming movie Christopher Robin (which is the reason I’m writing about this book now) also seems to subscribe to this thinking, at least in its marketing materials. Somehow this “bear of very little brain” has been reshaped by modern culture into a little stuffed Buddha. Or maybe a little stuffed Laotzi would be more appropriate here. You see, writer Benjamin Hoff wrote a book that was published way back in 1982 entitled The Tao of Pooh which uses elements of Milne’s Pooh books to explain elements of Eastern philosophy. It was followed up by The Te of Piglet. I'll admit, I haven't read either book. And I have to say, I didn’t find much in the way of wisdom when I was first started reading the books. They were just simple but well-crafted children’s stories. 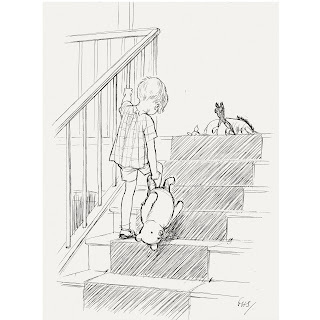 But I think I started to get a little bit of it by the time I made it to The House on Pooh Corner. And it wasn’t necessarily Pooh himself who I saw it in. I think it was the pacing of the stories themselves. The general wisdom that gets taken from Winnie the Pooh is to slow down and enjoy the simple things in life. To be “in the now”. And while Pooh himself certainly could reflect these traits, it’s more the fact that I found it impossible to rush through reading these stories. Even as an adult, the Pooh stories dictate their own ambling pace. And once I stopped trying to rush through them, they became a lot more enjoyable to read. So, that’s about all I have on the Winnie-the-Pooh books. They’re simple. They’re charming. They have characters with unique voices. And they’re worth taking your time with. Perhaps read to a child or with a cup of tea that has just a little honey. I only got to know the Winnie-the-Pooh stories as an adult, having moved to Canada and now reading them to my own children. From that perspective, one of the things that's striking about those stories is that they're multi-layered. They're great stories (as *stories*) that even very young kids can enjoy, but they're packed with subtle wit that kids don't get but adults can enjoy - which makes them fun to read over and over to your kid (unlike many other "children's books" which are donwright boring). For example, Pooh living in the forest under the name of Sanders, which means he had the name over the door in gold letters and lived under it, and Piglet's grandfather's name being Trespassers William. That's just funny... That multi-layered quality is one that most really great, enduring "children's fiction" shares; A.A.Milne's work has it in spades. Did you have any desires to see Christoper Robin?